Guided by a commitment to the land and the vision of multi-generational family ownership and leadership, the Terlato family, General Manager and Winemaker Steve Fennell and the entire Sanford winery team, are committed to producing the highest quality wines as true reflections of their vineyards and the varietals planted there. The goal is to create harmony within the vineyards which ultimately will allow for balanced, seamless and integrated wines. From this perspective, we believe sustainability is about taking a thoughtful, holistic and long term view of the world around us specifically as it relates to the vineyards in this location. 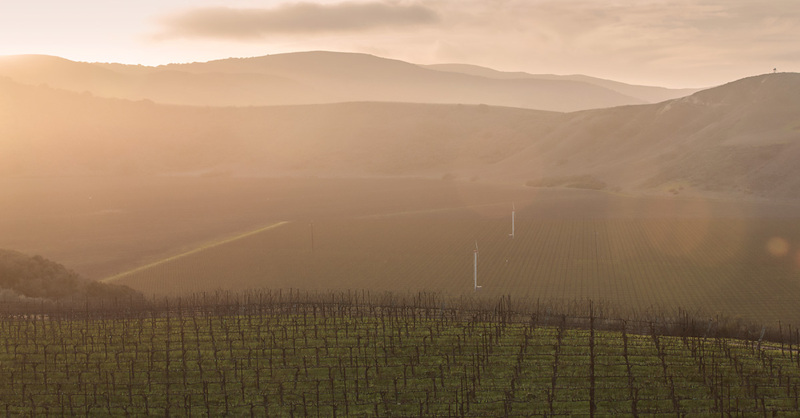 At Sanford, we work to nurture balanced vines in a natural ecosystem. This approach allows us to shepherd our naturally healthy vines towards producing the highest quality fruit. It is this approach which ultimately allows us to capture the unique terroir of our estate. The Sanford Estate encompasses more than just the winery and its two distinct vineyards. The property in total is comprised of two ranches (the Sanford & Benedict ranch and the La Rinconada ranch) totaling nearly 1,200 acres, with approximately 262 acres planted to vine. Much of the property remains undeveloped natural land, including a 127 acre conservation easement pledged to the Santa Barbara Land Trust. It is this balance of farmed versus unfarmed land on the ranches which helps us in creating and maintaining a balanced ecosystem and the ideal growing environment. While the two ranches had been separated by way of a sale, it was the Terlato family who purchased the Sanford & Benedict ranch, thereby reuniting it with the La Rinconada ranch and recreating the Grand Cru nature of the estate. Irrigation systems are fully modernized and variable across the estate to dramatically decrease water usage and increase water conservation. 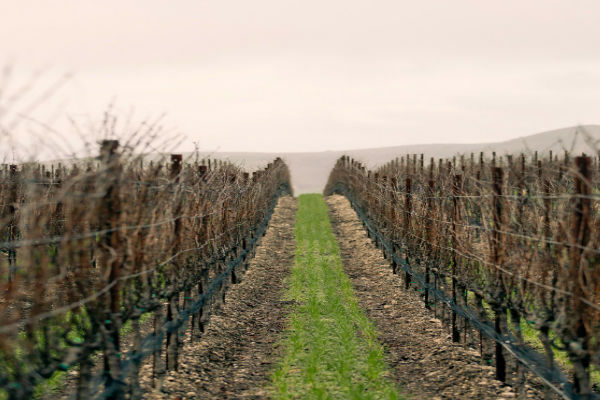 Cover crops and composting are utilized to support and promote micro biotic soil health which in turn promotes the sustainability of our vineyards and the overall health of our vines. This allows us to naturally produce amazing fully mature grapes which are not over ripened. Mechanical tilling and cutting of weeds dramatically reduces the use of herbicides in the vineyard. Owl and raptor boxes have been installed and maintained around the periphery of our vineyards, creating nesting sanctuaries for indigenous predatory bird species. This allows us to control vineyard pests in a natural and ecofriendly way. The winery is built from natural and locally cast adobe bricks and recycled barn timbers. Our adobe brick construction naturally regulates the winery temperature, reducing the need for supportive mechanical cooling. All water used in the winery and tasting room comes from natural springs in the hills on the estate. We manage these springs very carefully and with much thoughtfulness as it is a natural resource to be valued and protected.